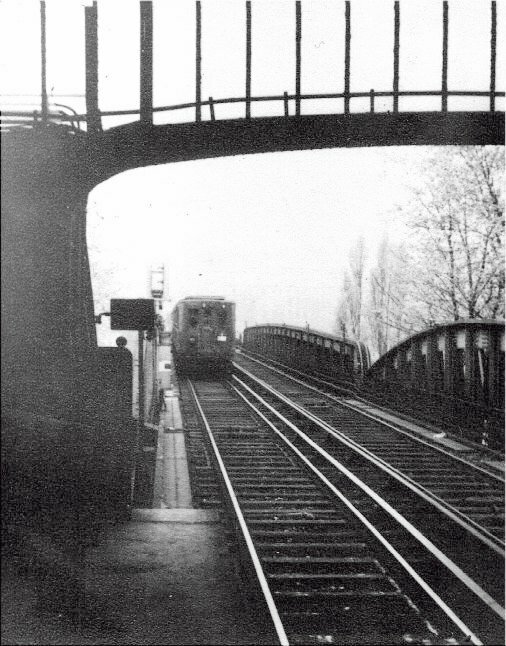 This is a simulation of the Paris Métro as it was in 1965, when I first visited that city on a school trip. I have many happy memories of roaming around the system. Being in a senior year at school certainly had its benefits on that trip! This is a BAHN383 network, and a fairly large one at that, although smaller than my London Underground. It is dedicated to Inspector Clouseau, for opting for a Police Career (thankfully) rather than one in public transport! Having said that, the Paris Métro was, and is a very efficient system, and a worthy part of that beautiful city. A section of the network, centered on the 'home' square. The network is as accurate as I can make it, given that I used a later map. I have kept as strictly as I can to the track plan, but have had to vary the track layout at termini to suit the characteristics of the BAHN program. I have also had to guess at earlier infrastructure, at the points where the lines were extended between 1965 and 1980, the date of the track plan. I've made extensive use of regulating signals and 'cascaded' signal sections in this layout. If anyone can supply me with correct information I should be most grateful. I can wholeheartedly recommend Brian Hardy's excellent 'Paris Metro Handbook' (ISBN 185414 154 6) published by Capital Transport Publishing (£7.95). This book is a worthy companion to the layout. A busy interchange where five lines meet. The Funiculaire de Montmartre with its 2 cars is also depicted. 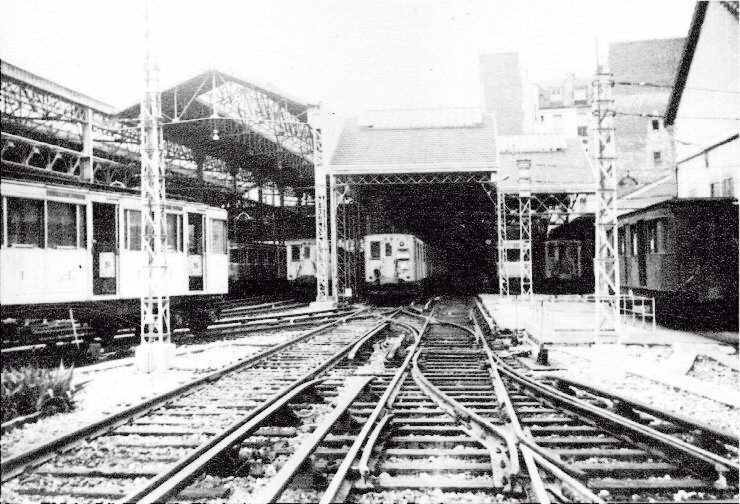 Depots are not modelled apart from Ateliers de Pleyel (Line 13) and Ateliers de Vaugirard (Line 12). Note: Lines 13 and 14 were linked in 1976 and became line 13 throughout. The famous rubber tyred 'Pneumatique,' stock runs on lines 1 (MP59 Stock) and 11 (MP55 stock) in this simulation. Line 13 ran with MA52 articulated steel-wheel stock, whilst all the other lines use the appropriately coloured 'Sprague Stock', mostly built before the first World War. Some photographs of these cars taken by me in 1965 are available below. All Métro car graphics are from the BAHN standard car library. Sincere thanks to whoever did them - it saved me a lot of bother! A, B, L or G: Train runs for all or most of the day. M: Train runs till early evening. P: Train runs at peak hours. There are slightly less trains in the simulation (355) than actually operated in real life, but sufficient to give 2-3 minute headways in the peak hours. Unlike most other systems, the trains on the Paris Métro are stored 'on the line' and the depots are used only for maintenance and repairs. 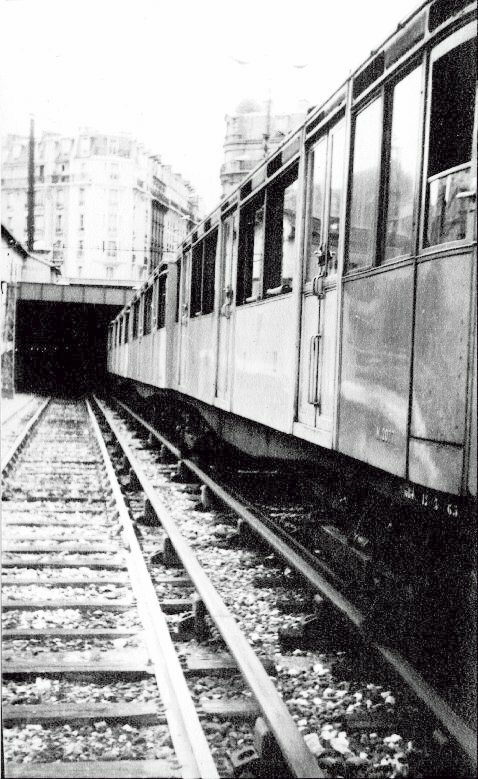 Some stations such as Pont de Levallois have inspection pits in the platform roads. Getting the network to operate reliably and store trains realistically was quite a headache! I resorted to pull-ins only where I was stuck for a solution. I don't pretend that the actual methods I've used are accurate - I just used the infrastructure which was available. 3. 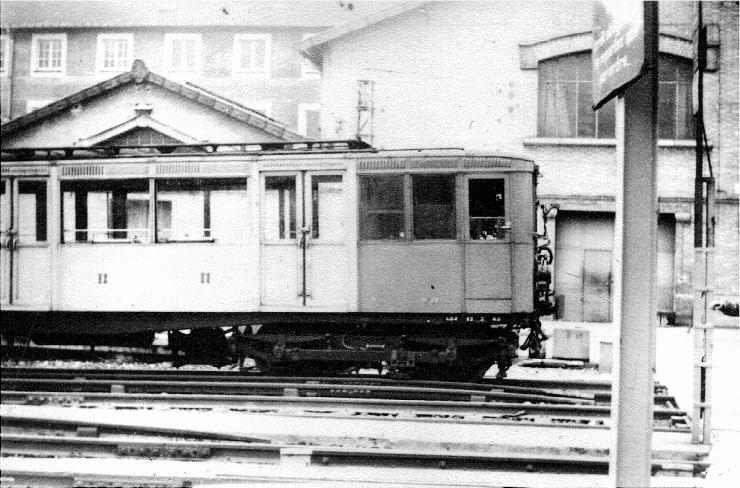 A 'Nord-Sud' Sprague driving motor coach. 4. The rest of the train on the gradient from the tunnel! 5. 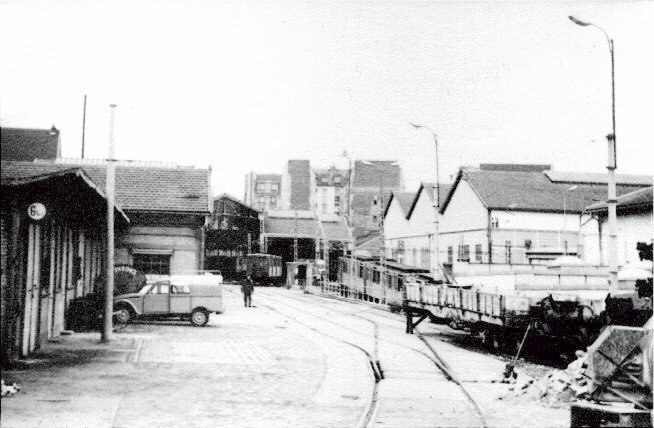 Photo of Ateliers de Vaugirard depot. 6. 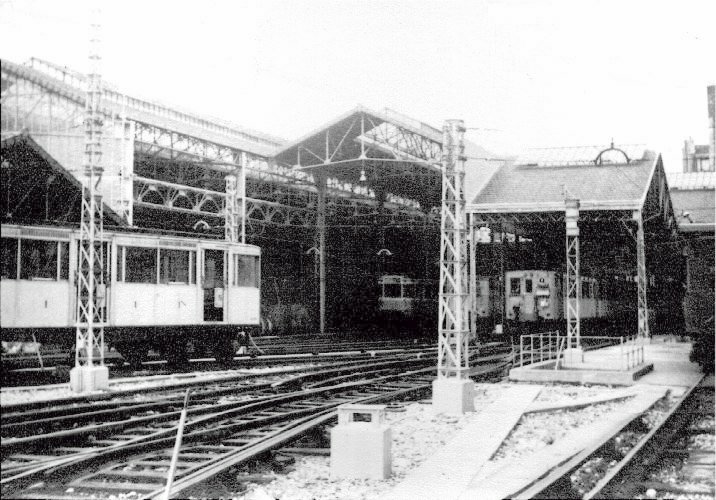 Another photo of the depot. 7. 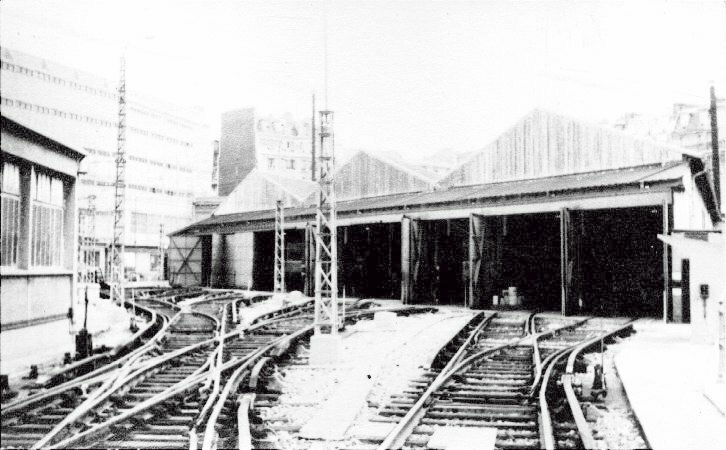 Yet another photo of the depot. Ateliers de Vaugirard Depot on Line 12 between Convention and Porte de Versailles in the XVth Arrondissement. There'll be a few upgrades to this layout in due course. Check out 'What's New' for any announcements.